One of the most basic yet effective exercise in our training programs is usually the pull ups. 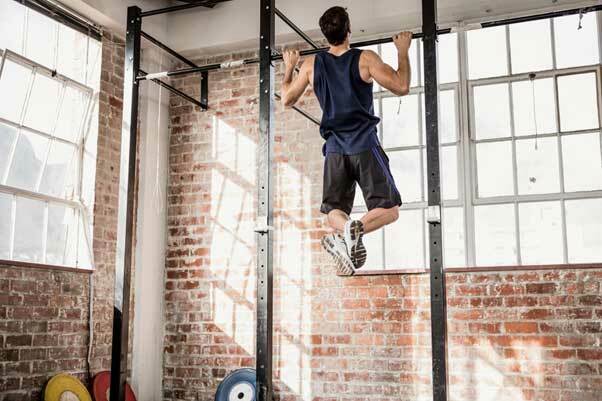 Pull ups acts as a great way to build the muscles of the back in the most effective way. One of the major differences between the pull ups and the lat pull down is the chain of kinetic energy. The pull up is considered to be a close kinetic chain movement where your effort moves your body or you unlike the open kinetic chain where your effort move the object like in case of lat pull down. The earlier being more effective and safer. The closed chain kinetic movements are built to develop better functional strength as it prepares your body to move itself. Pull ups target the back and are helpful in giving your back that tapered V look. The pull ups target the latissimus dorsi muscle in the back and the action of pulling the body on top. Apart from the back the pull ups target a lot of other muscles in the body. The teres major, infraspinatus and teres minor. It even targets the pectoralis major along with the triceps long head. The overall involvement of the body makes it great movement for a beginner to initiate his back development at the same time developing core strength.